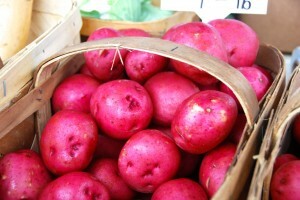 Sunshine and Warmer Weather Makes for Great Farmers Market Saturday! 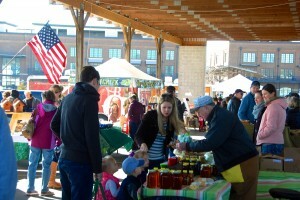 Beautiful sunshine and warmer temperatures graced our farmer’s market on Saturday! 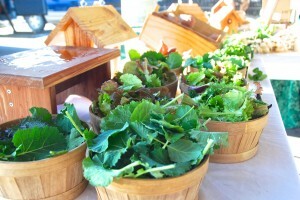 The sunny skies were perfect to shop for local vegetables at market. 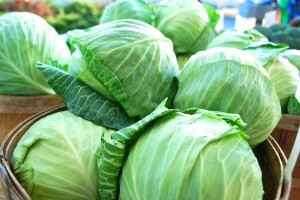 Our local farmers do such a wonderful job with growing lettuce, kale, winter squash, cauliflower, brussels sprouts, potatoes and so much more. 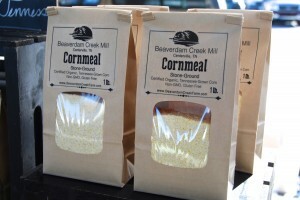 We invite everyone to stop and ask questions of all our farmers, artisans and bakers to learn more about our Tennessee farm food and handcrafted products. 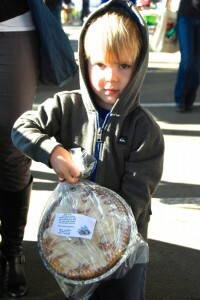 Young foodies looking for fresh local food! Yum! 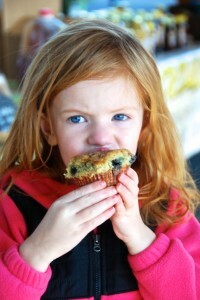 Lucy’s Blueberry Muffins are awesome! 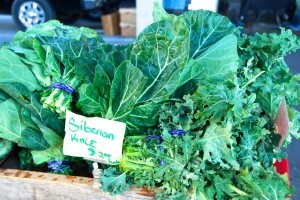 Many of our new customers are surprised to see so much locally grown winter produce we have at market each Saturday. 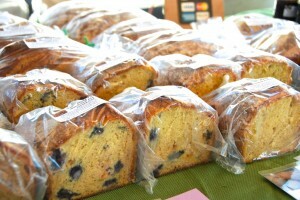 We all enjoy the fresh baked goods our local bakers bring to market. 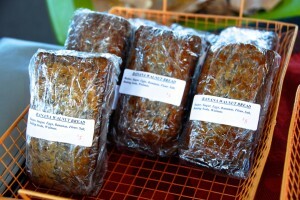 From Italian bread to multigrain bread and sourdough bread all freshly baked just for our farmer’s market. 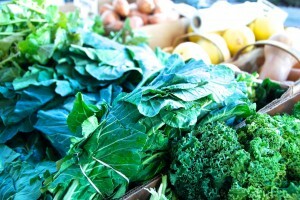 It makes for a great week to have so much fresh farm food to choose from for weekly home meals. Lucy’s Kitchen had her Tomato Basil and Coconut Thai soup which both are incredible, nothing like tasting fresh made best ingredients. 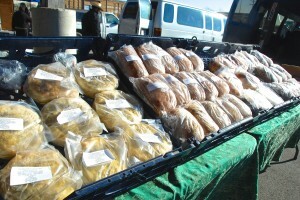 Judy of Jones Mill Farm is feeling much better after surgery and baked a large supply of freshly baked breads for the market day. 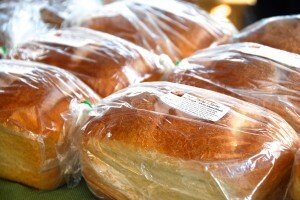 It was so nice to see Judy’s breads back at market along with her chicken salad, beef stew and pizza bread. The new Ford F150 aluminum truck on display at market for the next 3 months…come check it out! Our market sponsor, Ford Lincoln of Franklin, will have the new Aluminum Ford F150 truck at market each Saturday during the next few months. Many of our farmers and customers were checking the new aluminum Ford truck out and tapping on the fenders curious to see and hear what an aluminum truck is all about. 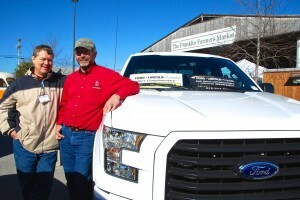 Greg Brown promises to be at market so that you can answer any questions about the new aluminum Ford F150 truck. 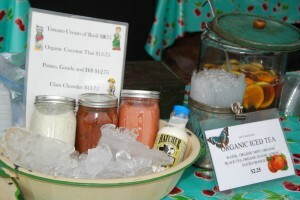 Check out our market photo gallery to see more of what we have at market each Saturday. 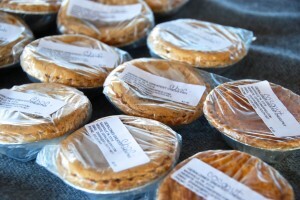 New customers are amazed at how much local produce, baked breads, pies and cakes we have during our winter market. Our artisans have wonderfully handcrafted products to explore for home or as unique handmade gifts. Hope to see everyone at market next Saturday! This entry was posted in Market Saturday News on January 19, 2015 . Families traveled from all over Middle Tennessee to purchase local fresh food from our winter farmers market on a cold sunny Saturday. 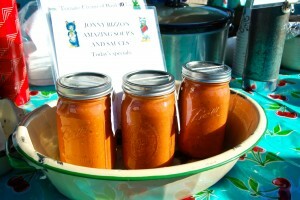 The organic Brussels Sprouts from Delvin Farms were gone by 10:30 am and so too were some of the popular homemade soups like Tomato Basil from Lucy’s Kitchen and Corn Chowder from Jones Mill Farm. 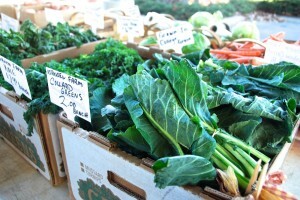 There were still many locally grown winter produce items available all market long such as collards, carrots, cauliflower, sweet potatoes, cabbage, kale and so much more at our winter farmers market. 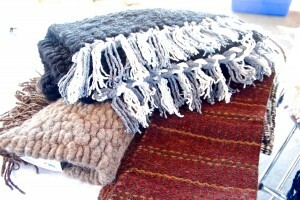 Did you know you can purchase handmade alpaca blankets, ski caps, socks and scarves from the Franklin Farmers Market right here in Franklin Tennessee? Legacy Acres Alpacas raises a large herd of Alpacas not far from our farmer’s market. 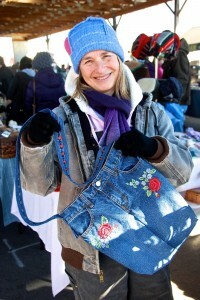 They bring to market hand made winter garments to help keep us warm from the cold winter weather. 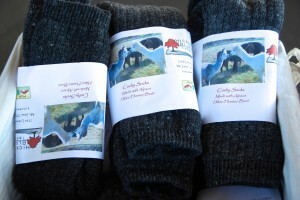 Alpaca is silky smooth and warmer and softer to our skin than sheep wools. I love my Alpaca ski cap that keeps my head and ears warm without making my head sweat. Our local artisans handcraft so many unique items like goat milk soap and handmade Barnwood signs. 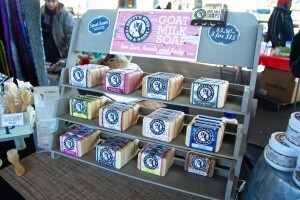 Our local goats milk soap comes from Tottys Bend Soap Farm. The soap comes from their herd of goats. Each goat is hand milked and given careful care. 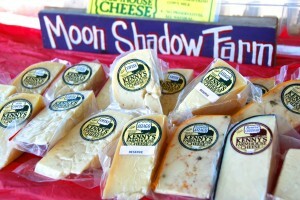 All soaps are made right on the farm and offered at market each market Saturday. 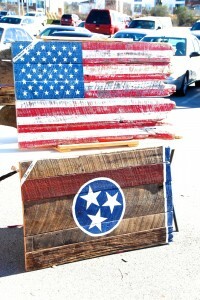 Tom the Furniture Guy handcrafts each barnwood sign right here in Tennessee. 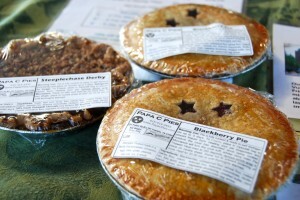 Visitors can also order custom designed signs from Tom each Saturday at market. 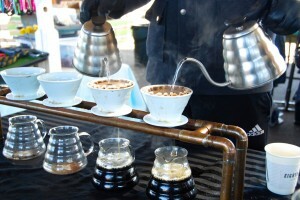 Be sure to visit market photos from this past Saturday’s market so you know what we have at market. 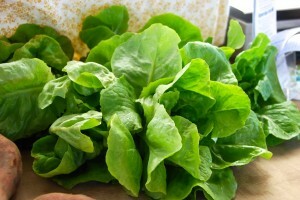 Next week we will have farm fresh lettuce mix from Norton Family Farms along with local produce, canned goods, homemade soups, baked pies, banana nut bread, farm cheeses and so much more! 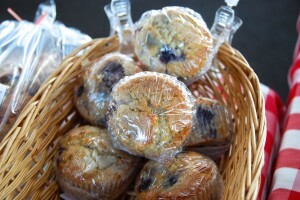 Hope to see you at market this coming Saturday. We are open all year long every Saturday in Franklin Tennessee behind the Factory. Have a great week and keep warm! This entry was posted in Market Saturday News on January 12, 2015 . 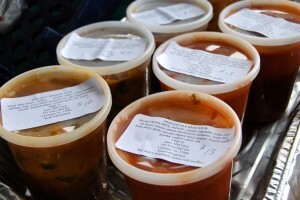 Soupy skies: That’s a pretty good description of the weather last Saturday at the Franklin Farmers Market – soupy wet skies. But it’s appropriate, because January is actually National Soup Month and the FFM is the place to buy the ingredients to make warm, comforting soup to ward off the chill of winter. It looked liked quite a few of you were thinking soup too. We talked to one savvy person who had a bag full of butternut squash she got from one of the farmers. 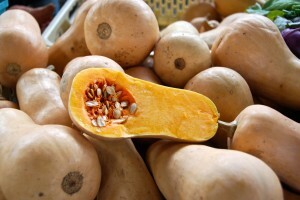 It was destined to be made into a pot of delicious winter squash and apple soup. 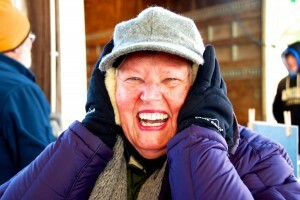 This week’s forecast predicts single digit cold weather heading our way. That kind of cold sort of seeps into your bones, so something that’s both warm, nutritious and easy to make like soup is a good choice for a meal. We saw several people taking home carrots, greens, potatoes, garlic, turnips, squash and more winter veggies to make big pots of soup. 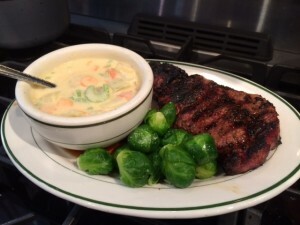 A Winter Farmers Market meal to warm the tummy! We also saw quite of few of you heading home with beef, chicken and pork from our meat farmers. 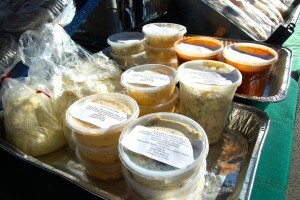 Good meat, like what you find at the FFM can add a lot of rich flavor to soup. If you missed out on getting the ingredients for homemade soup to ward off the cold, start making your list for what you need from the FFM this week. 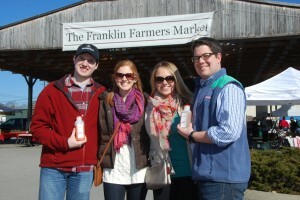 No matter the cold weather, our farmers will be at the Franklin Farmers Market for you! A couple of things to note about the winter season at the Franklin Farmers Market – the info booth has gone on hiatus and won’t be back until the spring. 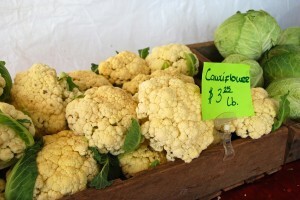 And the hours for the Franklin Farmers Market have changed. The winter market now opens at 9am and closes at noon, giving you (and our farmers) an extra hour to sleep late. 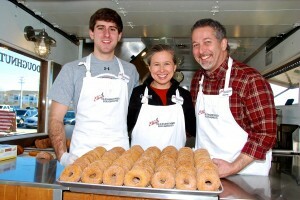 We snapped some pretty good photos this past Saturday at the FFM of people, food and big smiles. 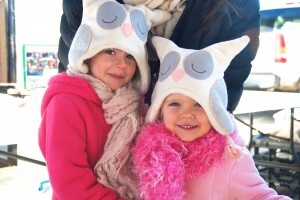 Check it out with a visit the FFM’s photo gallery! This entry was posted in Market Saturday News on January 5, 2015 . 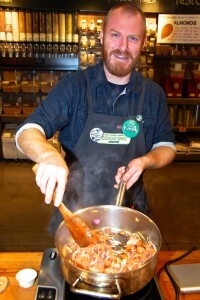 The food featured this month at the Whole Foods Market Supper Club event could be described as the perfect meal. 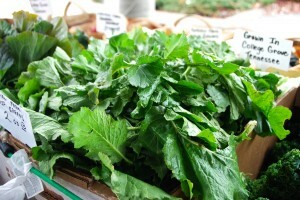 Local Foodies will enjoy Arugula with Pears, Aged Gouda and Hot Bacon Vinaigrette, followed by Smoked Pork Roast with Roasted Root Vegetables, Southern Style Collard Greens and a Tart Apple Crisp topped with Homemade Crème Fraîche. 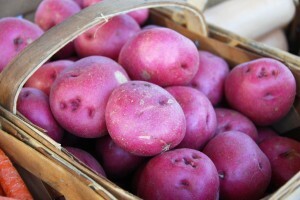 Better yet, the recipes for these appetizing dishes come from Tennessee farmers. You can be a part of this delicious event on January 23rd. Hosted by Chef Michael Martin, the meal will feature food from local farms created with recipes from the Franklin Farmers Market’s Eating in Season cookbook. 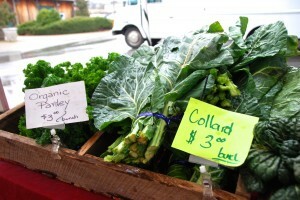 As a longtime ally of local farms, the Whole Foods Market has supported the Franklin Farmers Market for several years. 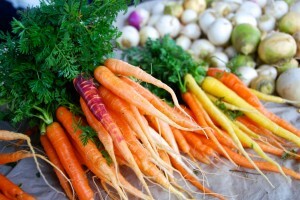 The Franklin Farmers Market’s motto of “Real Farmers, Real Food, Real Good” is a natural tie-in with Whole Foods Market’s “Values Matter” campaign. 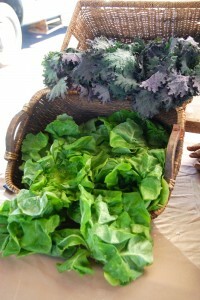 Both organizations have a strong commitment to supporting sustainable agriculture and local communities. Besides enjoying this delicious supper, Chef Michael will also explain how you too can create such a meal, with tips and info on using whole, nutrient dense foods prepared with healthy methods. 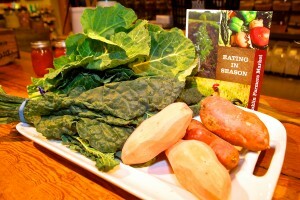 You’ll also have the opportunity to purchase a copy of the Franklin Farmers Market’s cookbook, Eating in Season. The recipes for Whole Foods Market’s January Supper Club are inspired by the cookbook, along with many other delicious recipes featuring seasonal produce which will allow you to prepare the perfect meal year-round with fresh food from local farms. 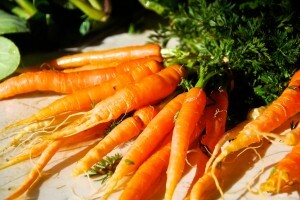 The Whole Foods Market Supper Club takes place on Friday, January 23rd at 6pm. The event will be held at Whole Foods Market, located at 1566 West McEwen Drive in the Cool Springs area of Franklin. Tickets for the event are $30. A limited amount of tickets are available. For more information and to purchase tickets, please call 615-550-5660.